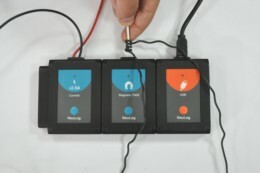 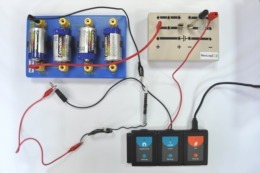 Electricity is very fundamental for any basic physics course, but performing electricity experiments is sometimes complicated and requires complex and expensive equipment. 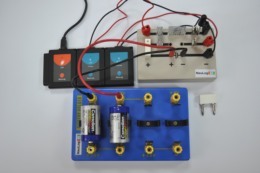 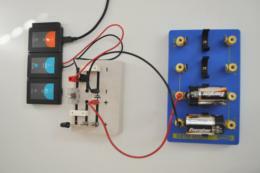 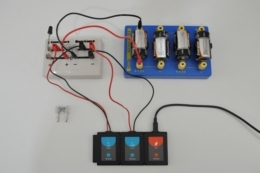 This simple kit combined with NeuLog logger sensors allows students to investigate this field. 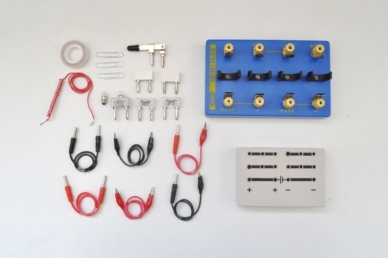 Circuit board, 6V cell holder, Four 1.5 V batteries, Knife switch, Two bridges, Red 4 mm connector cable, Black 4 mm connector cable, Red crocodile clip cable, Black crocodile clip cable, Red crocodile clip and 4 mm connector cable, Black crocodile clip and 4 mm connector cable, 10Ω mounted resistor, 47Ω mounted resistor, Two mounted bulb holder, Four 6V bulbs, 1 m electrical wire, Large iron nail, Sellotape, Three paper clips, 4700μF Capacitor.